By the end of the nineteenth century, as Letwin observes, Beatrice Webb came to “equate the triumph of reason over passion with the rule of science over human life.” Thus did the “pursuit of certainty” displace the traditional English understanding of the limitations of human nature—hence the necessity of limits to governmental power and programs. Consequently, in our time, “Politics was no longer one of several human activities and at that not a very noble one; it encompassed all of human life” in quest of philosophical “certainty” and social perfection. 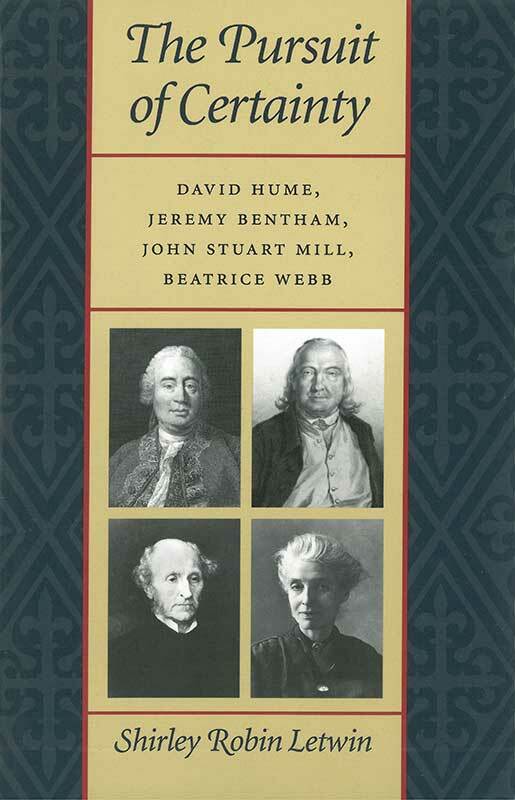 The Liberty Fund edition is a reprint of the original work published by Oxford in 1965. Shirley Robin Letwin (1924–1993) was a Professor of Political and Legal Philosophy at Harvard, Cambridge, and the London School of Economics.